A value three pack of cotton stretch Boxer Briefs, Pouch front. Our Collection at Boxers and Briefs contains only the highest quality Calvin Klein Mens Underwear. One of our core ranges is the Calvin Klein Cotton Stretch 3 Pack range. 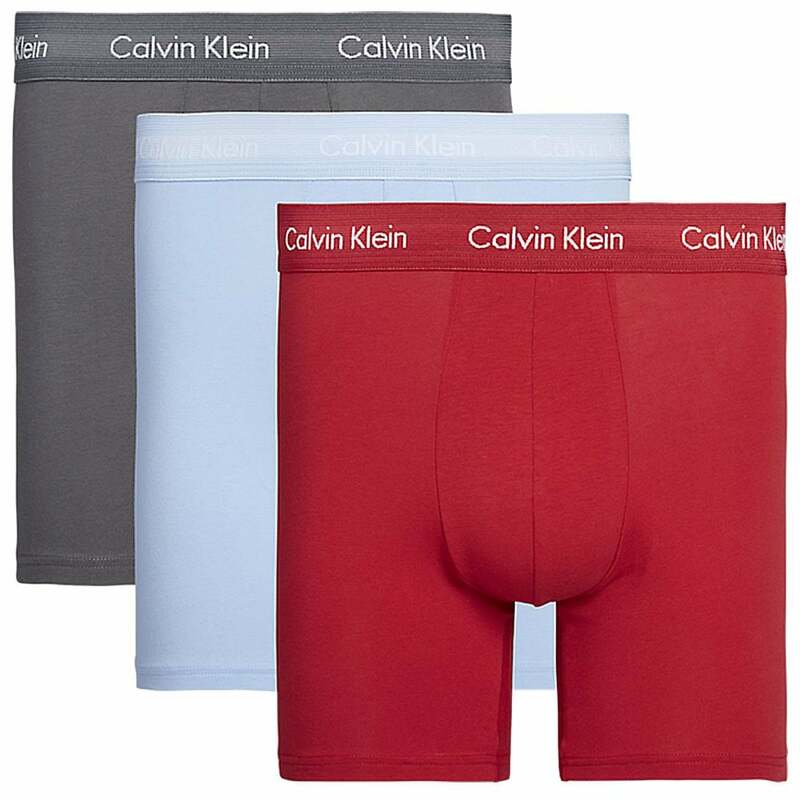 Within this range we have a Iron Gate / Scooter / Wedgewood Calvin Klein Cotton Stretch 3 Pack Boxer Briefs, which are available in multiple sizes ranging from Small to Extra Large.